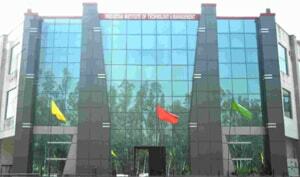 HITM has provided the hostel facility in the view of providing a secure atmosphere . 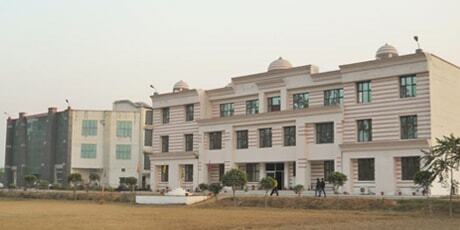 Boys and girls hostels are located in the campus itself so it makes easy access between college and students. It has got good facilities and infrastructure which makes students feel comfortable and find a homely atmosphere. Being away from the city hubnubs, the hostel a serene and calm atmosphere. Hostels have mess facilities for students. The mess is spacious, highly hygienic and elegant. Internet Facilities are also available in the hostel. Hostel life helps a student cultivate self-dependence, independent thinking cooperative spirit and managerial capabilities. HITM has, therefore, provided residential accommodation on campus for both boys and girls, Both the hostels are fully air conditioned, spacious and fully furnished with beds, study tables, chairs and cupboards. The Hostel Mess provides nutritious and hygienically prepared meal and clean drinking water through RO System. Recreation rooms with T.V, news paper, magazines and indoor games/ sports are an integral part of the HITM residential system. The hostels working committee comprising the Director, Chief Warden, Wardens and Resident representatives (both male and female) deliberate upon and address the issues related to hostels at regular intervals. Besides this, the Hostels have 24 hours power back up and security arrangements. Fully trained guards at the main entrance keep round the clock vigil around the campus. The boarders have also been extended the extra facility of using internet and working in the computer center beyond regular working hours of the Institute. The Hostellers are expected to be regular and punctual in attending their classes and 85% attendance is compulsory for them. Also they are obliged to participate in games/ sports that are held in the evening. HITM has a well laid out Canteen that serve quality snacks, beverages and meal to both students and faculty.